Niran Maharjan: NWSC Pokhara Branch Head. 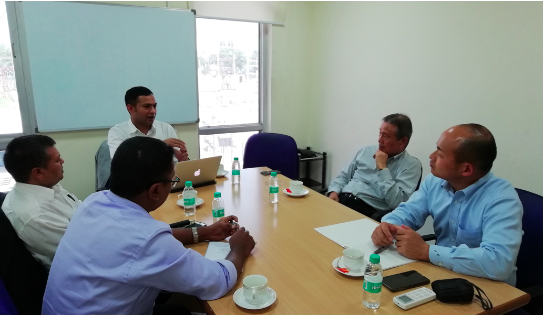 Few months before we (Beltecno team) had a detail discussion with NWSC team about the possibilities to introduce the stainless steel panel tank at Kathmandu, Nepal on the water supply tank projects. 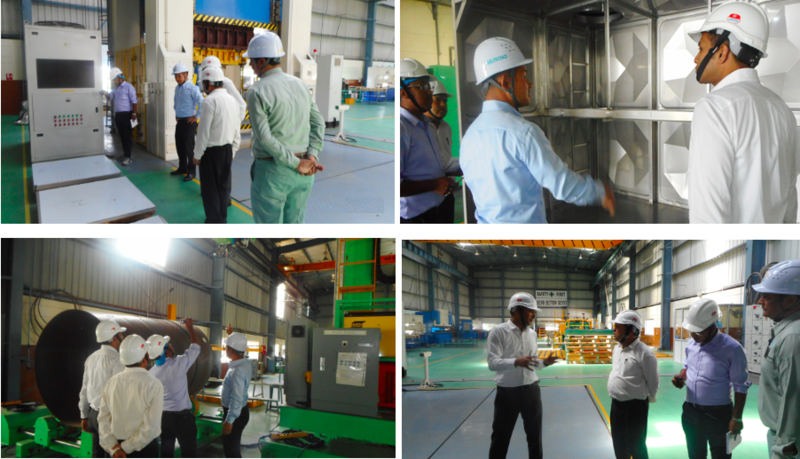 Thus, to study the replacement feasibility and to understand more details about the stainless steel water tank NWSC representatives visited the Beltecno’s manufacturing plant. 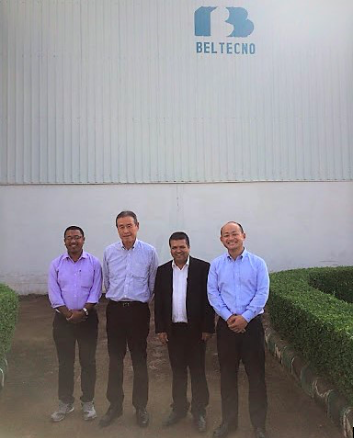 On this visit Mr. Hiroshi Suzuki, President of Beltecno Corporation specially came to Beltecno India Plant to welcome the NWSC representatives. Also, Mr. Kiyokazu Tamura, Managing Director of Beltecno India and Beltecno India team corresponded their visit. We explained the SS panel tank manufacturing process in detail along with their observations and related queries. 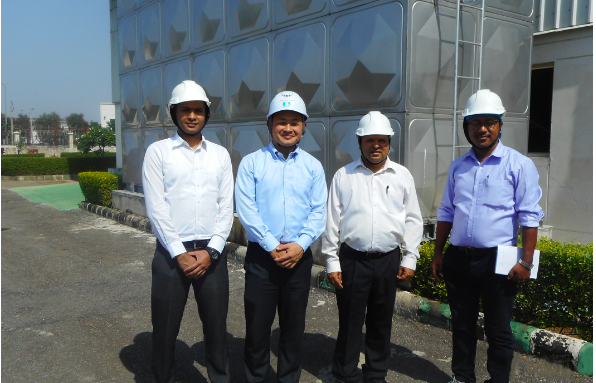 Also the NWSC team observed the installed SS tank at Beltecno India plant and were very much impressed with the product and technology. Mr. Maharjan took the pictures of the plant facilities and installed SS tank for the reference. He also assured that he will explain about Beltecno SS tanks and technology involved in manufacturing to their team members in Nepal. After manufacturing process and facilities observation, we had a general discussion session. Firstly Mr. Maharjan explained about NWSC roles and responsibilities and its services provided to the 20 cities in Nepal. Out of which three were sub metropolitan city, sixteen were municipality and remaining one is VDC (Village Development committee). The service coverage of NWSC in different cities of the country are twenty cities as indicated in below figure. 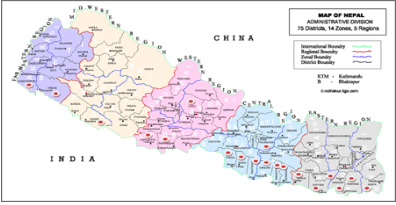 As per Mr. Pokharel and Mr. Maharjan, the government of Nepal allocate a fix budget to the water tank projects, so this could be one major challenge as they need to cross check with the government’s allocated budget, whether it will meet the total cost of SS panel tank or not? While another side they are very much interested in replacing old tanks with Beltecno’s SS panel tanks. Most of the water tanks are RCC tanks which is the traditional way to store water in Nepal. The common problems like (Seepage, Cracks,leakage, over-weight resulting cracks in civil foundation, regular maintenance & cleaning etc.) are rising frequently in existing water tanks. To overcome these problems NWSC is continuously researching on the best replacement solution. After JICA’s water tank replacement project at Dhulabari, Jhapa, Nepal, Beltecno SS panel tank came into limelight in Nepal and NWSC is under observation for the consideration of same SS panel tanks to their projects in other parts of Nepal. The impression of NWSC representatives on Beltecno’s stainless steel panel tanks are hygienic, low maintenance, durable, short installation time, economic in long run, and earth-quake resistant. After destructive earthquake in Nepal 2015, NWSC was so much concern on this matter and hence it would be the best possible replacement solution of the RCC tank in Nepal.